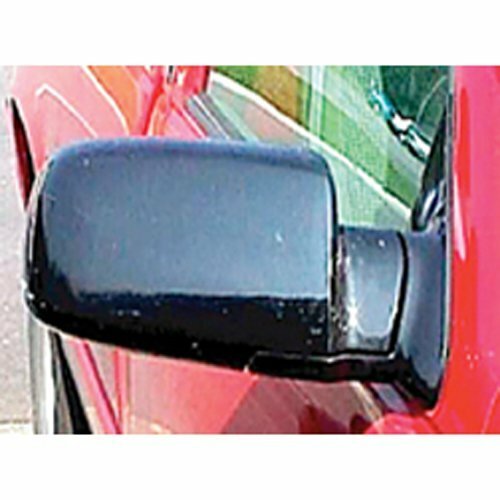 Extends your towing vision up to 7"
CIPA's Door Mount Towing Mirror fits most cars, trucks, vans and mini-motor homes. This mirror features many points of adjustments, including a sliding bar that extends out up to 6 inches, for a total overall extension of 18 inches, making it truly universal in design. 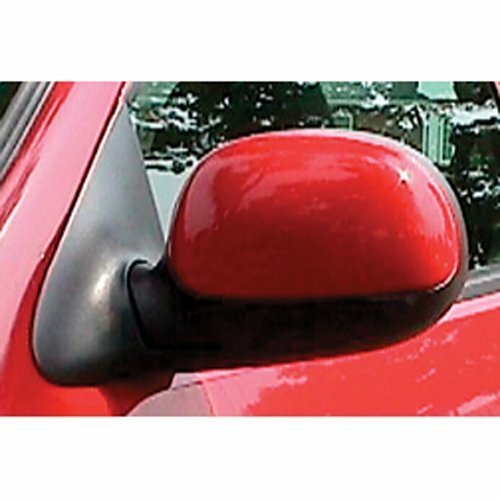 The Door Mount Towing Mirror easily installs between the doors edge, the window at the top, and the door lip at the bottom. Once in place, simply crank it tight to secure a rock solid connection to your vehicle. The clamp and strap mounting makes this mirror very stable while driving. A ball and socket connection on the 5 x 8 inch mirror head permits you to tilt the mirror in any direction. Three screws below the adjustment ball loosen for easy adjustment. After the adjustments are made simply retighten the screws to ensure that it stays where you put it. 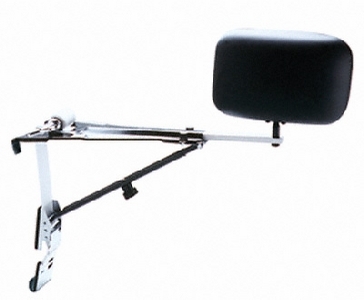 The Door Mount Towing Mirror installs in seconds and extends out 18" for maximum towing vision. Includes three preinstalled non-scratch mounting pads and a rubber coated hook to make certain no marks or scratches are left behind. 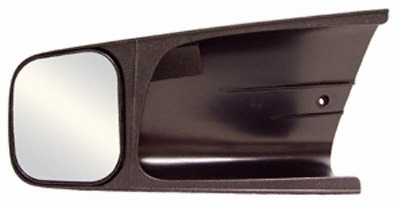 Driver and passenger sides are universal and mirrors are sold individually (1 per box). 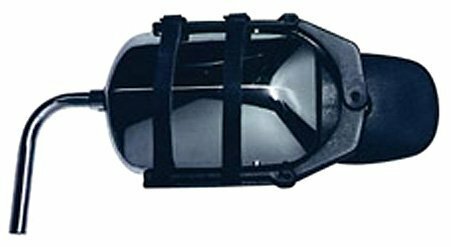 Replacement mirror heads are also available for this model (part number 95400 black and 95500 chrome). Note: Will not fit vehicle's that have plastic body molding at the bottom of the door. 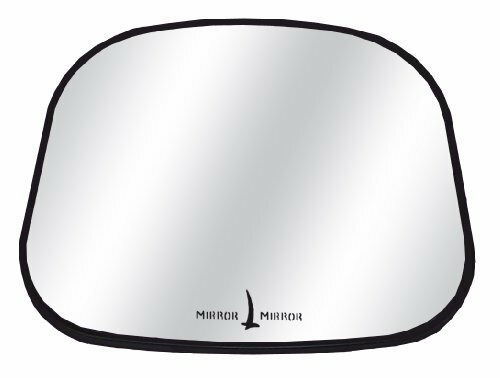 CIPA's Universal Towing Mirror is the mirror that you have been looking for! 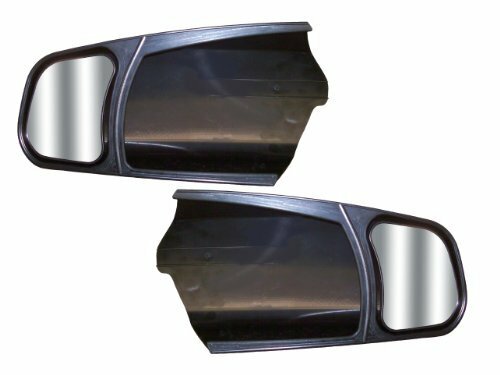 This member of CIPA's towing line is designed to fit the majority of vehicles, and reduce vibration, while maintaining a clean aerodynamic look on your existing mirror. 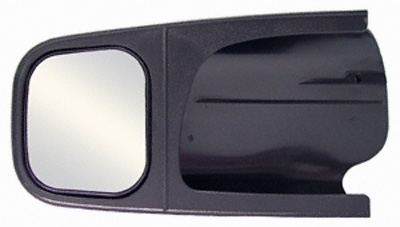 This towing mirror is sure to surpass your expectations in all situations! 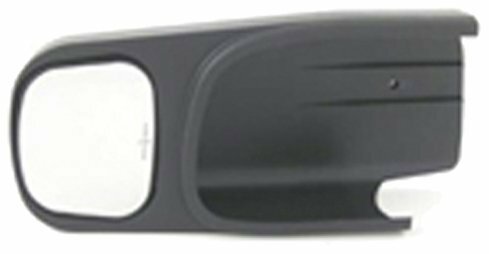 The Universal Towing Mirror will provide enhanced safety while towing by extending your vision by a full 5 inches. 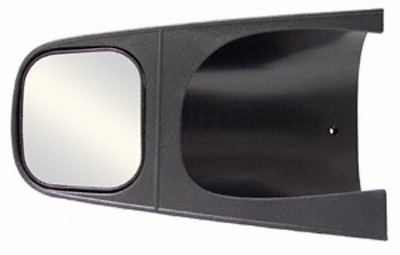 This mirror features a 5 inch by 4.5 inch mirror face, and will not obstruct the view from your original factory mirror. The moveable feet, sturdy clamps, and tightening knob give you a secure fit without annoying vibration. 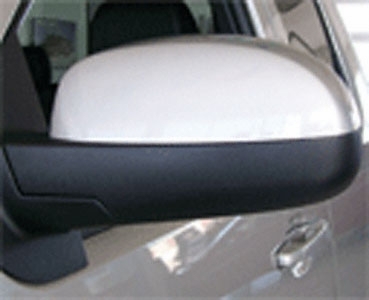 This mirror's aerodynamic styling compliments virtually any vehicle. 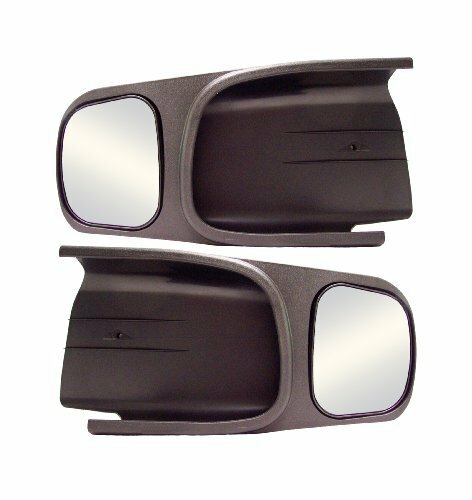 The Universal Towing Mirror accommodates the driver side or passenger side of your vehicle. Mirrors come 1 per package. Expand your Horizons. Each strap will extend out 7.5 inches . 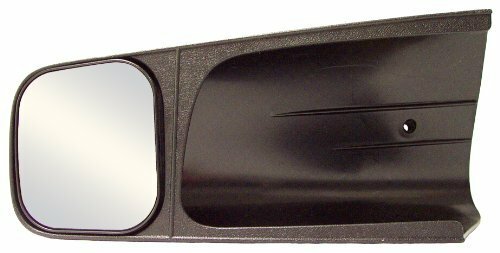 CIPA Custom Towing Mirror Replacement Glass with affixed mounting plate for replacement of cracked or broken glass on your CIPA Custom Towing Mirror. The mounting plate features a ball and socket design which provides a quick and easy way to change out your broken glass. 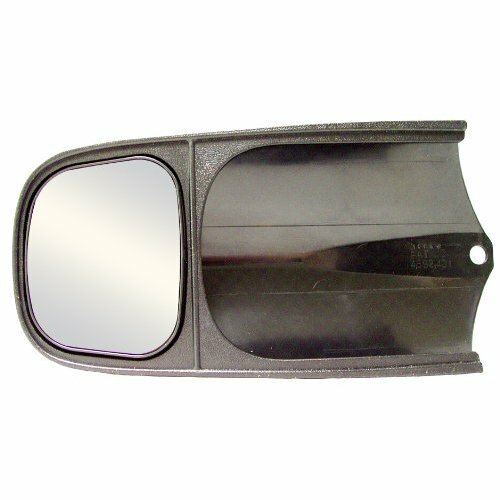 This part replaces the mounting plate and glass on CIPA Custom Towing Mirrors part numbers 10000, 10300, 10700, 10701, 10702, 11900, 11901, and 11902. 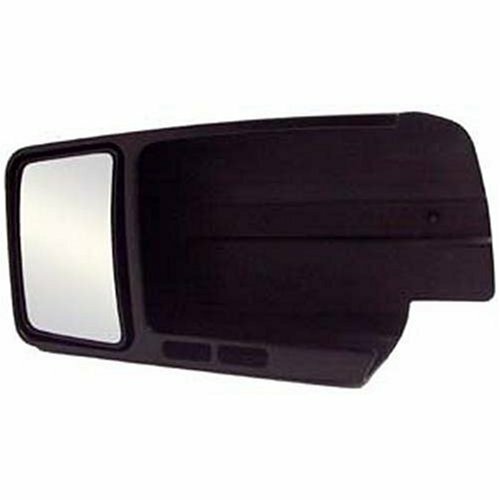 Not sure which CIPA Custom Towing Mirror you have? 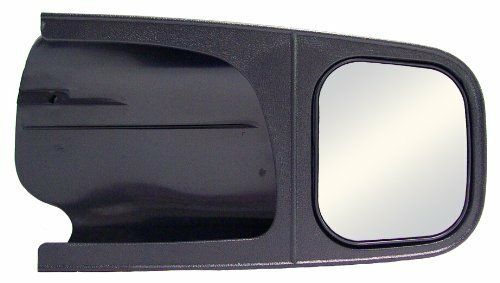 This will replace the glass and mounting plate on CIPA Custom Towing mirrors that fit the following vehicles: 1986-1997 Dodge Pickups, 1986-1997 Dodge Vans, 1980-1995 Chevy Pickups, 1980-1995 Chevy Vans, 1980-1995 GMC Pickups, 1980-1995 GMC Vans, 2002-2006 Dodge Ram 1500, 2003-2006 Dodge Ram 2500, 2003-2006 Dodge Ram 3500, 1997-2008 Ford F-250, 1997-2008 Ford F-350 Super Duty, and the 2000-2008 Ford Excursion. 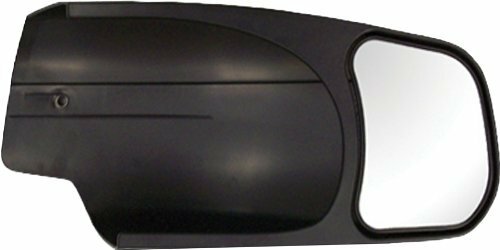 CIPA Custom Towing Mirror Replacement Glass for replacement of cracked or broken glass on your passenger side CIPA Custom Towing Mirror. Glass kit includes 1 passenger side (right hand) piece of glass and 2 strips of double sided glass adhesive tape. 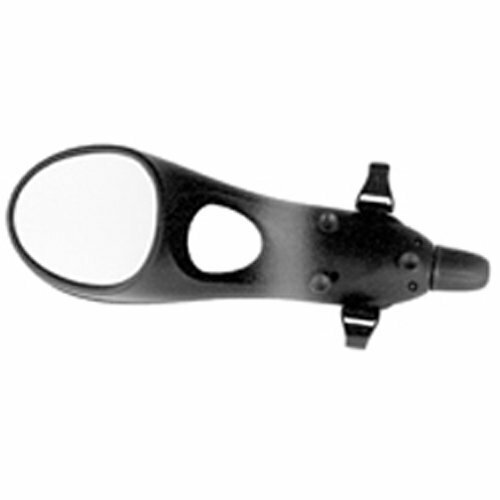 This part replaces the glass on CIPA Custom Towing Mirrors part numbers 10802, 10902, and 11302. 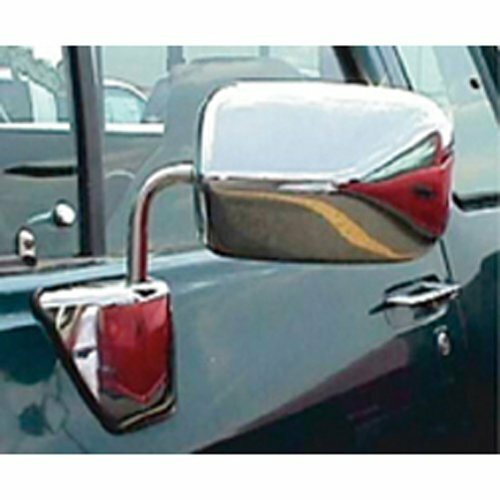 Not sure which CIPA Custom Towing Mirror you have? 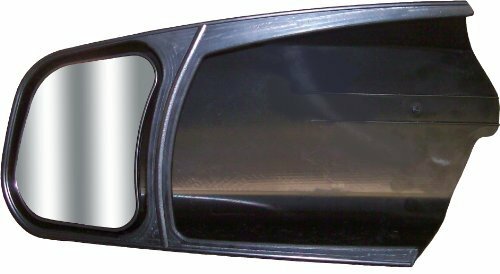 This will replace the glass on the passenger side of CIPA Custom Towing mirrors that fit the following vehicles: 1999-2011 Chevy Silverado, 1999-2011 GMC Sierra, 2000-2011 Chevy Tahoe, 2000-2011 Chevy Suburban, 2000-2011 Chevy Avalanche, 2000-2011 GMC Denali, 2000-2011 GMC Yukon, 2000-2011 GMC Yukon XL, 2000-2011 Cadillac Escalade, 2007-2011 Toyota Tundra, and the 2007-2011 Toyota Sequoia. 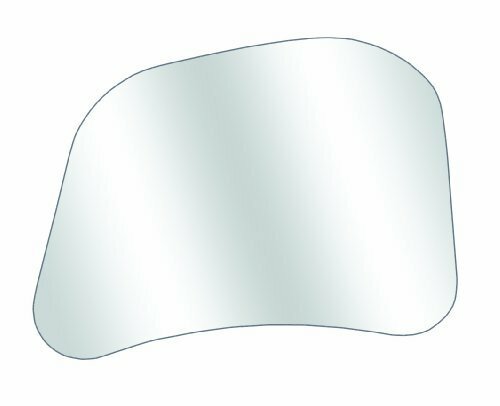 CIPA Custom Towing Mirror Replacement Glass for replacement of cracked or broken glass on your driver side CIPA Custom Towing Mirror. 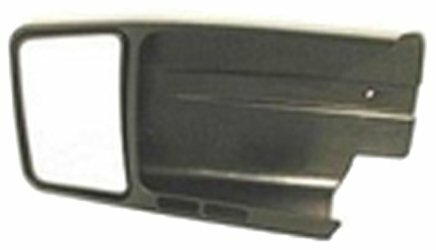 Glass kit includes 1 driver side (left hand) piece of glass and 2 strips of double sided glass adhesive tape. 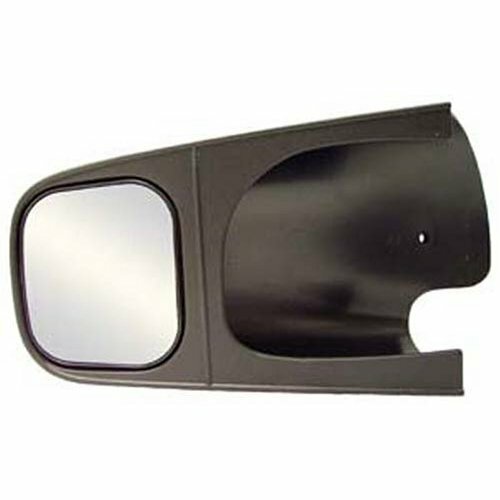 This part replaces the glass on CIPA Custom Towing Mirrors part numbers 10801, 10901, and 11301. 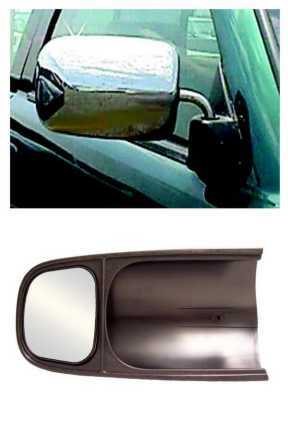 Not sure which CIPA Custom Towing Mirror you have? 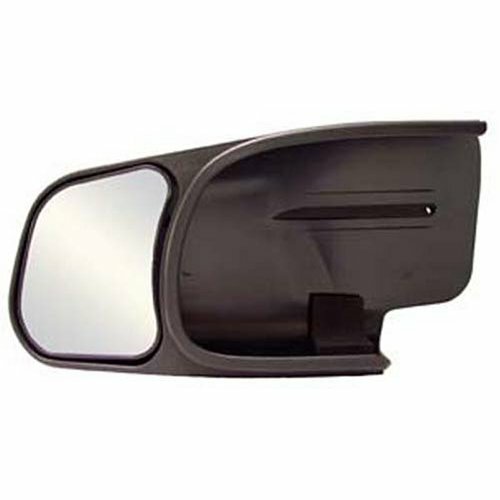 This will replace the glass on the driver side of CIPA Custom Towing mirrors that fit the following vehicles: 1999-2011 Chevy Silverado, 1999-2011 GMC Sierra, 2000-2011 Chevy Tahoe, 2000-2011 Chevy Suburban, 2000-2011 Chevy Avalanche, 2000-2011 GMC Denali, 2000-2011 GMC Yukon, 2000-2011 GMC Yukon XL, 2000-2011 Cadillac Escalade, 2007-2011 Toyota Tundra, and the 2007-2011 Toyota Sequoia.